Tiger G2 is the next generation of the successful Tiger-system. 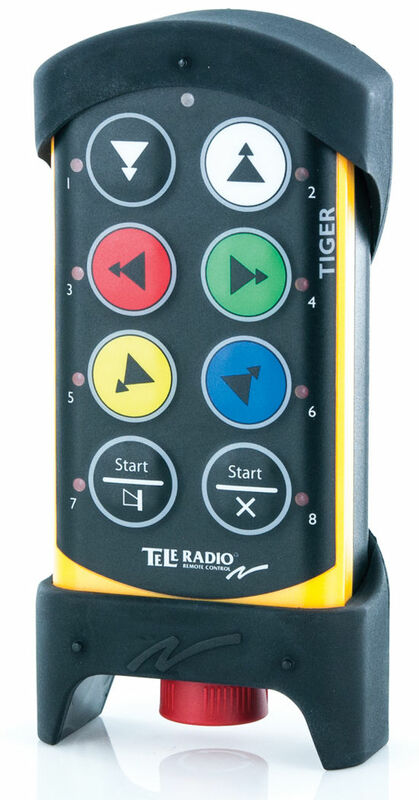 In the Tiger G2 you will find transmitters in a more compact design but also the larger transmitters found in the previous Tiger system. As in Tiger, Tiger G2 will put safety first. 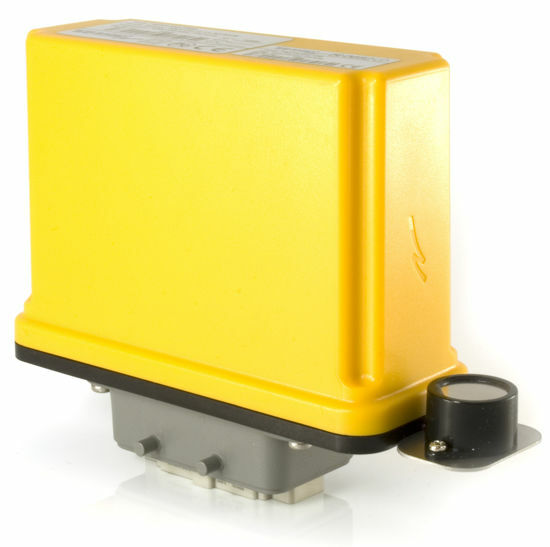 Both the stop function and two relays in the receivers are approved according to the SIL3 IEC 61508 standard and PLe. The system is certified according to the CSA standard for the USA and Canada. 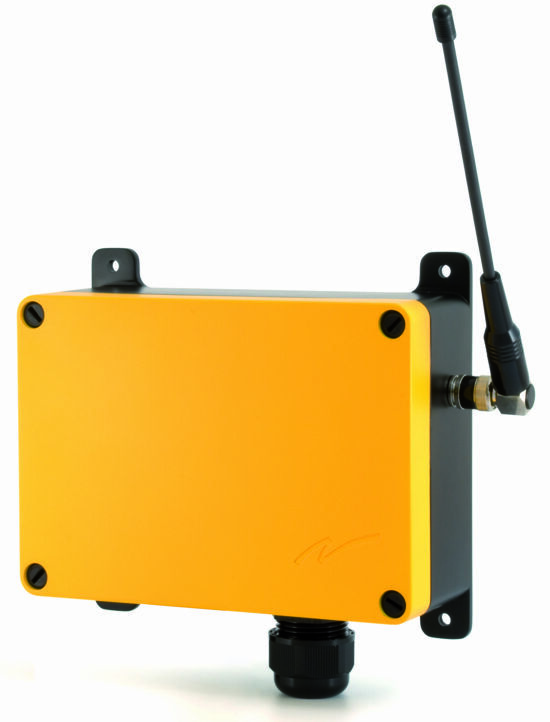 If your application has a machine ID or a crane ID, you can program this in the receiver that transmits the ID number as feedback to your transmitter. This is both safe and useful if you want to control several applications with the same transmitter, for example several cranes. All Tiger G2 transmitters can receive feedback from different fieldbus systems (CANopen, Profibus or Modbus/TCP), weight indication systems or internal feedback from the receiver’s digital inputs. Feedback is indicated through the transmitter’s light indicators, the display or through the built-in buzzer. 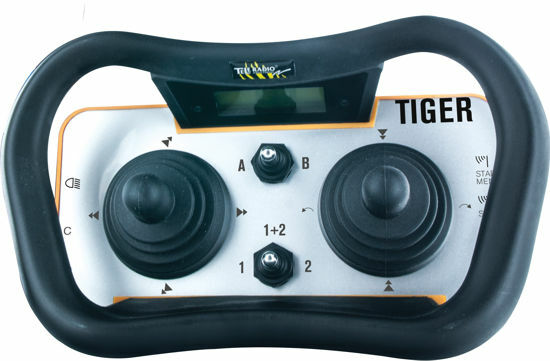 The Tiger G2 software can be extensively adapted to your needs.